"JEWISH MILITARY CASUALTIES IN THE POLISH ARMIES IN WORLD WAR II" - VOL. III - Jewish P.O.W. Approximately 1.5 million Jewish officers and soldiers in the ranks of the Allied regular armies, in Underground national resistance movements, and in Partisan units participated in all theatres of the war fighting the Nazi Foe and Axis Powers. They fought bravely, proved their heroism, showed courage and dedication in their struggle. Their valor made a significant and impressive contribution to the ultimate victory of the Allied Forces in World War II. Nearly 200.000 Polish Jews fought against Nazi Germany in the ranks of the Polish Armies on Polish soil and in Exile. They defended Poland in September 1939 against the German aggression. They fought in the Polish Armies in exile; in the 1940 defense of France, in the Middle East, in North Africa and in Italy. While serving in the Polish Tank Corps, Air Force and Navy they participated, together with the RAF and British Royal Navy, in the Normandy Landings. The Polish Forces, along with The Red Army, took part in the great offensive, eventually liberating Poland and conquering Germany. In addition, many Polish Jews fought as part of the Polish, Russian, and French Underground movements. They were also a part of the Palestine Jewish Brigade. Polish Jews fought in the French Army, in the Red Army, and in the British Forces. Despite the tremendous Jewish military contribution to the Polish war efforts, the official Polish historical bibliography of W.W.II ignores this Jewish phenomena. The purpose of this book is to rectify this historical injustice and to commemorate the Jewish Fighters in the struggle against Nazi Germany. This material can be used for educational and research purpose only, and is fully copyrighted! Israelis should contact the Association for price and order. "Death Marches" route of Jewish Prisoners of war. On September 1, 1939 at 6 a.m. the fully motorized and armoured German army crossed the frontier and invaded Poland. The Second World War had begun. The Polish Army was in a desperate situation without any prospects of stopping the German "Blietz Krieg". It is estimated that among the prisoners of war taken about 60,000 were of Jewish origin 2). In the first period of the war, Jewish soldiers, as war prisoners, were detained along with their gentile comrades by the Germans in transit camps located in the Polish cities of Radom, Zyrardow, Siedlce, Krosniewice, Kutno and others. According to the regulations adopted on February 16th, 1939 by the German Chief of Staff (Field Marshal-Keitel) regarding prisoners of war, Jewish prisoners of ware were separated from their gentile comrades by the Germans. The treatment of the Jewish prisoners was inhuman. There is evidence that Jewish prisoners were murdered in transit camps such as in Zambrow camp, where the Germans shot 250 prisoners. In many cases, the behavior of Polish prisoners of war to their Jewish comrades-in-arms was hostile which worsened the situation for the Jews. From the transit camps the prisoners of war were transferred to Mannschaftsstamm Lagers ("Stalags") located in Germany3). In all Stalags Jewish prisoners were separated from their gentile comrades. They existed under murderous conditions; hard labor, starvation and incarceration in cells without heat during the difficult winter weather of 1939/1940. This was in addition to daily abuse and torture. Many of them died or were shot. In Stalag XII A in East Prussia, during a period of 10 months, 330 prisoners, out of the 400, were murdered by camp guards. It is estimated that close to 25,000 prisoners of war of Jewish origin were murdered or died in the Stalags up to and through the spring of 19404). Jewish officers who were prisoners of war, were incarcerated during the early period along with gentile officers in Offlags (Officer camps) 5. Since official Polish sources confirm that close to 18,0006) officers were taken prisoner by the Germans we are able to estimate that some 700-900 - 4-5 % of the Polish officers corps incarcerated, were of Jewish origin. Some of them, who were inhabitants of Western Poland, which was occupied by Germany, were released at the beginning of 1940 and sent home. Later on, during 1940, Jewish officers were separated from their gentile comrades. They were transferred to "Offlags" such as IIC Woldenberg, VIE Dorsten, VIB Dossel and others. In the Offlags, they were put in ghettos where they suffered from worse conditions than those of gentile prisoners were. It is to be noted that there was no mass extermination in the camps and that the mortality rate in the Offlags was relatively low. It is estimated that the majority of Jewish officers survived the war in the Offlags. On May 8th, 1945, the day of the German surrender it was recorded that 1667) Jewish officers survived the war in Offlags. VI E Dorsten (93), VI B Dossel (44), IXC Molsdorf (8), XC Bad Schwartan (5), VIE, for air crew (4), and XIB Fallingbostel (12). However this is not the final figure, as many of the survivors left the camps at once after the liberation. In December 1939 a large number of Jewish prisoners, whose homes were west of the Bug River were released by the Wehrmacht and sent home. 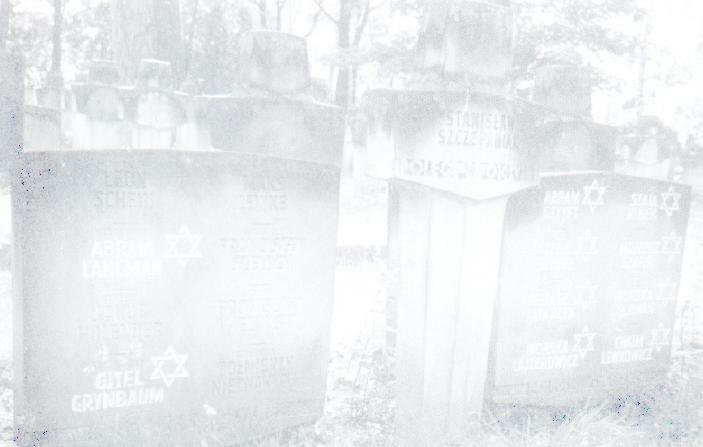 They were later to share the tragic fate of the Polish Jews. The Germans undertook to repatriate prisoners originating from the territories east of the Bug River. A large number of Jewish prisoners were handed over to the Soviet authorities, and returned to their homes during 1939. Some of them later joined the Red Army as Soviet citizens. They fought the Germans, who had invaded the USSR on June 22,1941. Others shared the tragic fate of the Jews of Ukraine, Belarus and Lithuania. According to Polish sources more than 7,000 Jewish prisoners of war 8), mostly those who were inhabitants of Eastern Poland, were transferred by train to the Lublin District from the Stalags in Germany, starting on December 1939. Many of them were found frozen to death when the railroad cars were opened. Many had died from starvation due to the long time in transport. In Lublin prisoners of war were transferred by the Wehrmacht to the 5.5. Authority, thereby violating international law and the Geneva Convention determining the treatment of prisoners of war. The earliest transport of prisoners to the Lublin District started on December 1939. Several transports arrived from Stalag IIB in Hammerstein. The prisoners were assigned to work on the Biala-Podlaska airfield. Many prisoners were killed during the "Death Marches" from Lublin to Gala Podlaska, a distance of 130 km. In December1939 an S.S. unit murdered 100 prisoners near Wlodawa. In January 1940 some 400 prisoners were murdered near Parczew in Julipol and in Niedzwiedzice, a village near Lubartow. On February 1940 an 5.5. unit murdered 459 prisoners on the "Death March" to Biala Podlaska, and 627 prisoners were murdered on the 14th of February, 1940 on the same route. According to the records of the Judenrat of Lublin, 3,224 prisoners of war were brought to the Lublin area during the period from mid-February to mid-May 1940. On January 7th , 1940 1,200 prisoners from Stalag IB, (Hohenstein in East Prussia), were brought by S.S. guards to the Sobibor forest. Most of them were executed on January13 by the guards9). Very few of the prisoners escaped. 2 years later it was to become mass murder camp. The labor camp on 7 Lipowa Street in Lublin was opened by the S.S. in December 1939. In mid-1940 about 1,200 local Jewish craftsmen were incarcerated in the camp. These workers were released in December 1940 and replaced by prisoners of war. During 1940 transports of war prisoners arrived at the Lipowa Street camp from Stalags in Germany. Some 200 prisoners arrived on December 2nd 1940. Between the 10th and 16th of December1940 another 500 prisoners arrived from East Prussian Stalags, including one on December 14th. Some of the prisoners were transferred to work on the Ryki airfield. They worked under inhuman conditions and died of hunger, disease, and maltreatment. Many were shot by the camp guard. Very few survived. The largest transport of 2.500 prisoners from the Stalags arrived at Lipowa Street camp on 23 January 1941. The prisoners in Lipowa camp retained some semblance of their P.O.W. status for a time. But from the beginning of 1942, camp authorities frequently transferred groups of P.O.W's to the main death camp Majdanek as ordinary prisoners. On October 18th, 1943, 2,500 prisoners were incarcerated in Lipowa camp10) and an unknown number of prisoners were incarcerated in Majdanek camp, and in other camps in the Lublin District. Groups of prisoners worked in military industries in the eastern part of the Lublin District. In 1941, 2,50011) prisoners of war were murdered at the slave labor camp at Belzec. Very few escaped. On 17th, march 1942 it was to become mass murder camp 12). On January 1941 a transport of approximately 1,000 prisoners from Stalags was sent to "Judenlager" in Biala Podlaska. Many died of typhoid, starvation or as a result of the inhuman conditions, and others were simply murdered. The survivors were transferred in May 1941 to the Konskowola slave labor Camp. The last survivors were sent to Budzyn Camp, where they worked at the Heinkel aircraft plant. Very few survived. On November 8th, 1943 in the final act of exterminating the Jews in the Majdanek death camp (given the code name "Harvest Festival" - "Erntefest") 18,500 Jews were murdered by the Nazis, among them 2,500 prisoners of war. These included those confined in the camp in Lipowa Street and other sub-camps in the Lublin area 13). Efforts to set up a resistance organization were initiated by the Jewish prisoners of war in Lipowa camp and toward the end of summer of 1942, a committee was organized whose main task was to obtain weapons. In April 1942 a group of 17 prisoners led by Roman Fiszer succeeded in escaping from the camp to the forests of Pulawy in the Lubartow area. On October 28th, 1942 another group, led by Shmuel Gruber and Kaganowicz, escaped from the camp. Kaganowicz was later found dead. On November 11th, 1942 a group of 22 prisoners, led by Stefan Finkiel escaped with arms taken by force from the German guards. 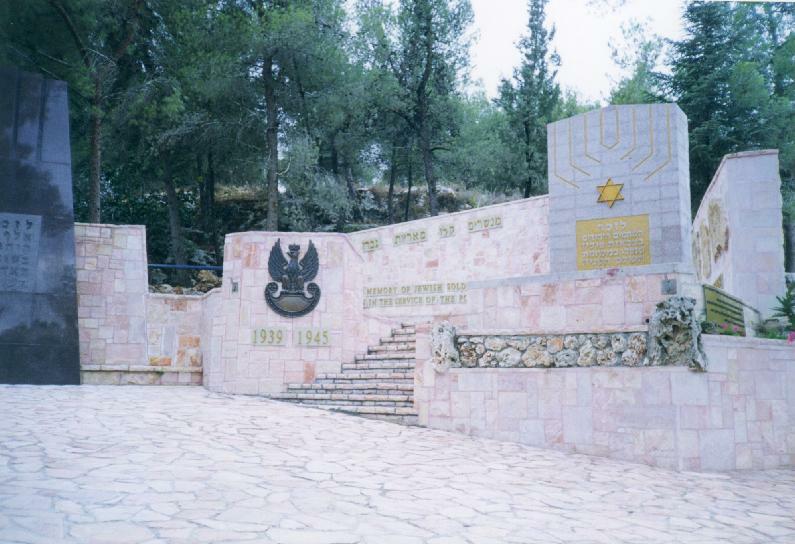 In the spring of 1943 an armed group, led by Samuel Jager, fled to the forest 14). On October 2nd , 1943 several war prisoners fled to Parczew Forest and later joined the Jewish partisan detachment led by Jechiel Grynszpan. Altogether about 400 prisoners escaped from Lipowa camp. The majority were captured and shot by the Germans. Only about 100 of them joined Jewish partisan detachments and only 20 of them survived the war. Summary: of the 60,000 Jewish enlisted men taken prisoner by the Germans in the September1939 campaign only a few hundred survived captivity. 2). Kozlowski Eugeniusz, Agresja na Polske, Wojskowy Przeglad Historyczny No 3-4 1991 Warszawa, M.O.N, Wojskowy Institut Historyczny. 2). Norwid-Neugebaur, Gen.-Leut. 'The Defence of Poland in September1989", London 1941, and Szaniawski Henryk: "Zydzi szeregach W.P. w walce o wyzwolenie Polaki w latach 1939-1945", Wojskowy Instutyt Historyczny 1994. 4) Krakowski Shmuel, Encyclopedia of the Holocaust. Volume V p.1181. 5) See list of Offlags. 6) Kozlowaki Eugeniusz, Agresja na Polake. Wojakowy Przeglad Historyczny, No 3-4, 1991, p.35. 7) Krakowski Shmuel, Yad-Vashem Studies XII, 1977, p.236. 9) Evidence of Frydman Mordechaj. A.W.V. Josef Birger in his evidence estimated - 3.000 Jewish P.O.W. (A.W.V.). 11) Flemming Marian: Polska Zbrojna, November 1993. 12) Gilbert, Martin: Atlas of the Holocaust, 1989. 13). Flemming, Marian: Polska Zbrojna, Publ. November 1993, and Marszalek, Jozef: "Majdanek", Warsaw 1986. Martin Gilbert in his "Second War World' estimated that within a week in November 1943, 5,000 Jewish soldiers of the Polish Army were murdered. 14) Jager fell in battle as a partisan unit cammander in February 1944.